SL-APS is a SoftLayer infrastructure application package that allows a simple and fast way for cloud service providers to offer new and existing SoftLayer services to their customers. Since it is based onAPS Standard’s Application Packaging Standard (APS), you can get your Odin Cloud Marketplace Storefront up and running in a matter of a days—instead of spending months to develop and integrate—so you can sell and deploy SoftLayer services (virtual servers, bare metal servers, network devices, etc.) faster than ever before. 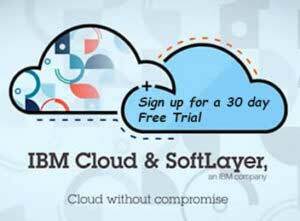 Providers (distributors and resellers) can download the software package from IBM free of charge. Once installed, the SL-APS package will dynamically discover SoftLayer products, pricing, and available data centers and display them in a “configurator” interface. Providers then customize or simplify the product set by building a list of products they wish to offer to customers. The package also accommodates Provider-Reseller-Customer Sales models as well as two-tier distribution. SAML SSO to SoftLayer Customer Portal: Odin SL-APS customers can one-click securely sign on to their SoftLayer customer portal using a strong one-time security token. SoftLayer Invoice-Driven Billing: All Odin invoices relating to SoftLayer services will be generated directly based on SoftLayer invoices, on customer’s SoftLayer monthly billing date, converted for customer/reseller currency and discount rate. Detailed Reseller and End-Customer Invoices: Resellers and end-customers will receive detailed invoices containing all SoftLayer devices and associated charges, converted for customer/reseller currency and discount rate. POWER8 servers (additional latest SoftLayer catalog item): POWER8 servers provide bare metal power for big data workloads.